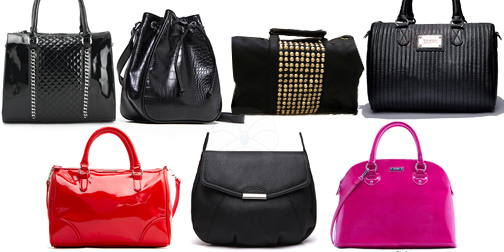 Home » Fashion Style » 7 bags for 7 days! 7 bags for 7 days! Every moment of the week is different, and our appearance needs to be adjusted. The change is not just about clothes. Accessories also count. Especially if this kind of accessory is something that we cannot be separated from it. Our precious bag. No matter how many things you forget every time you leave your house, there is one thing that cannot be left behind. Our bag is the most important accessory and it must be combined with all of our looks. Every day is different, our plans are changing and the rhythm is adjusted so we have to know how to choose the perfect bag for every moment. The first day of the week with the feeling of a “new start”, is Monday of course. You need to have everything in your bag, otherwise you will go to work and you will feel vulnerable. You need a long, durable bag that you can fill with everything you always look for. What you will definitely need and what you suppose you will need but never asked for. Although you still think that half of the products you have at your house are essential to your everyday life and you tend to throw everything in your bag, you need to change your priorities a bit. Try not to add many items to your Tuesday bag. If you think you needed something on Monday you did not have it, it’s half-truth but it could have been one thing and not five. However, the bag you are going to carry on Tuesday should be multi-functional. It may easily changes from a handbag to a bag for your back. It’s the perfect accessory, at is suitable for any occasion. A handbag with a long lace that can withstand heavy things but is still comfortable is the bag you are going to choose for Wednesday. Today, it may be a shopping day with your friends, or by yourself. You should prefer to have a two-shades’ bag today. It is a perfect choice that can be perfectly combined with your retro kjoler. Try to find a bag that can be divided into two pieces, so you can leave the one at the office in case you are going shopping for sure. A shoulder’s bag, spacious but medium-sized, not large, with metal closure is going to be your choice for today. It is one of the days followed by various corporate events, or lunches with friends after work. The big bags are annoying and the very small ones do not allow you to carry everything you need. You should prefer to have a small handbag on Friday. It can be suitable to place not only your mobile phone, but your money and keys too, because the night is young on Fridays. In this way, you can go out in the evening without having to go home to get something, or to change your bag. You should prefer a monochrome one, in shades of blue, red or green, and with some details that add style. Fridays are spontaneous. You can go for a movie or a dinner. You must have a bag that fits under any circumstance. Wake up, drink your coffee and go out for shopping. Then you will be happy to spend your time at home to think about what to wear in the evening. Now you need a few more minutes to see how everything will fit in a small purse-wallet. Even if it is too small, you cannot go without it. Perhaps it has some metal details or colorful engraved leather. This day is only for rest and relaxation, for long walks and family meals. As for today, you can carry a vintage bag in neutral colors, which are so fashionable too. You should prefer mid- sized bags, that can be carried every moment of the day.